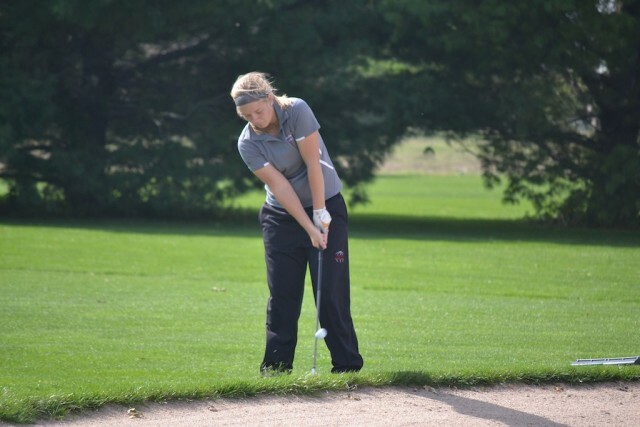 A total of 31 golfers from Striv schools will tee it up at the NSAA girls state golf tournaments which begins Monday morning at three sites across the state. Class A will play at Norfolk Country Club, Class B will be at Pioneers Golf Course in Lincoln and Class C will participate at Quail Run Golf Course in Columbus. The top three teams from each district and any golfer in the top-ten at their district qualified for the state meet. Aurora, Crete and Grand Island Northwest were team qualifiers in Class B and Dundy County-Stratton and Cozad qualified in Class C.
The following is a list of tee times for the two-day meet.